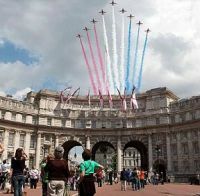 Built as a memorial to Queen Victoria, Admiralty Arch, the iconic 100-year old London building that ascetically links Trafalgar Square to The Mall and Buckingham Palace is to be turned into a 5-star hotel and restaurant. But don’t rush to try and make a booking. Whilst a long lease deal has been signed between the Government and Prime Investors Capital run by Spanish developer Rafael Serrano, we are unlikely to see the results until the back end of 2014. The surprise keynote speaker at the Airport Operators Association (AOA) annual conference in London, came up with a surprise himself. Most participants expected Secretary of State for Transport Patrick McLoughlin, for what would have been his first airline industry appearance since his appointment. What they got was his deputy Simon Burns, responsible for aviation and a surprise statement. The new bmi Regional is launched today (29 October) as a fully independent airline, five months after being bought from IAG by a consortium involving Scottish aviation entrepreneurs, the Bond brothers in non-executive roles. 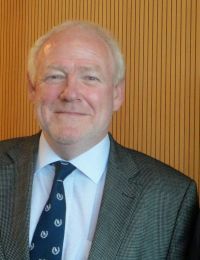 Leading the new partnership are Ian Woodley, who founded Business Air in 1987, from which bmi Regional evolved; Graeme Ross, Scotland Director, Eastern Airways, 2002-2010; and Robert Sturman, former Chief Executive at British World Airlines. bmi Regional is operationally based at Aberdeen and has a sizeable presence at East Midlands Airport. Last week Britain’s Civil Aviation Authority (CAA) confirmed that easyJet had won the hotly contested competition to replace bmi on the London – Moscow air route. 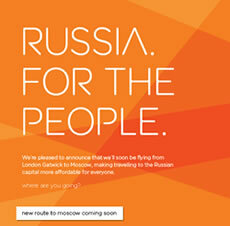 British Airways, who for many years have served the Russian capital, was confirmed as the other UK operator. Virgin Atlantic loses out. Aeroflot and Transaero supply bilateral services, as with BA, operating out of Heathrow. This is another boost for Gatwick and also frees up slots at Heathrow. It has been an interesting week or so for Sir Richard Branson. First he wins at least a reprieve on the West Coast Main Line, then he misses out to Moscow (whilst saying that there should be three British carriers on the route). Undaunted it is Mumbai next with a UK trade delegation where he claims that he is going to join one of the alliances in double quick time, announcing the reintroduction of that city to Virgin after four years. He already flies to Delhi. Marfin Investment Group, the owner of Olympic Air, and Aegean Airlines have agreed Olympic's sale to Aegean. This is very much in the hands of the European Commission who blocked initial plans in January 2011. However, with the dire state of the Greek economy and overseas carriers homing in on Greek business, an approval looks likely. 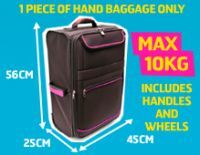 Monarch and Wizz Air have come to diverse conclusions with their hand baggage policies and both are claiming to have found an answer to the perennial problem. In the meantime easyJet confirms that you can bring on board what you like within reason (and security concerns). 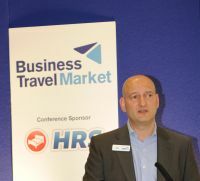 With the recent announcement that Business Travel Market (BTM) is to co-locate alongside World Travel Market in 2013 business show Director Paul Robin has announced that BTM will be holding a presentation during this year's WTM at Excel on Wednesday 7 November at 11:00 in North Gallery Room 9. A judgment at the European Court means passengers may now be able to claim compensation from airlines for delayed flights under certain circumstances. 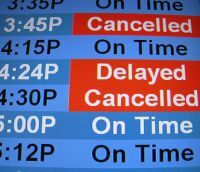 Following the judgement, the UK Civil Aviation Authority (CAA) is offering new advice to passengers in the event their flight arriving more than three hours late. Airlines will be able to claim ‘extraordinary circumstances’, that is if happenings outside their control delayed the flight. Fukuoka, the economic centre of the Kyushu region, located in the south-west of Japan, is the latest KLM Royal Dutch Airlines route target. 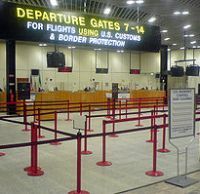 The airline will introduce a three times per week service from 3 November 2003. 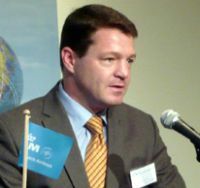 KLM is the first airline to offer direct flights between Fukuoka and Europe. It is the carrier’s third destination in the country, after Tokyo and Osaka. With this new route KLM offers a total of 21 weekly frequencies to Japan in the summer of 2013. Europcar is set to introduce the award winning and very fashionable Range Rover Evoque to its hire car range. It is becoming available at selected branches around the UK, part of what the company calls its “Prestige from Europcar” fleet. The headline may look incredulous but it is true. Singapore Airlines has done a deal with Airbus for them to take back its five specially configured A340s to partly offset an order for five more A380s and 20 of the new Airbus A350XWBs. The first super Jumbos will not arrive until late next year, and the 787 competitor somewhat later. 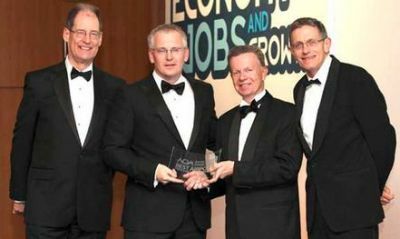 Elsewhere in this week’s edition of Business Travel News you will read of the stir that the latest Minister of State for Transport, Simon Burns, caused at last week’s Airport Operators Association (AOA) annual conference, held once again at the Paddington Hilton. It was only the start of a very interesting two days attracting 250 delegates representing airports, airlines, suppliers, professional advisers and politicians. A small exhibition was incorporated with 32 stands, an ideal networking opportunity. 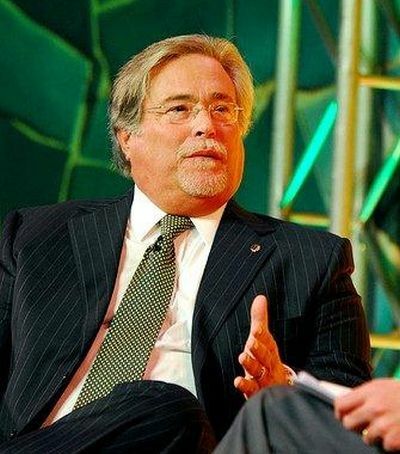 Micky Arison, Carnival Corporation Chairman and the biggest name in the world of cruising, will make a rare public appearance at World Travel Market (WTM) on Tuesday 6 November via video link from Miami. (15:00 in Platinum Suites 3 and 4). 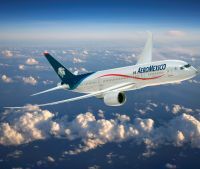 More details have emerged of Aeromexico’s London service (see BTN 22 October), with the first flight due to arrive 15:00 Saturday 15 December at Heathrow T4. The timing means that the airline will quickly pick up some Christmas/New Year business. There is now competition on the air route between Birmingham and Belfast, albeit different airports. Belfast International is now being serviced twice daily by easyJet and George Best City Airport up to six times per day by Flybe. easyJet offers a 150-seat Airbus A319 whilst Flybe use both the smaller (88 seats) and larger (118 seats) version of the Embraer E series. Both operators reduce their programme at the weekend. Bombardier is pressing on with its C series regional jet aimed at the same market as the Airbus A318 and Boeing 737-600, and their Neo and MAX derivatives. 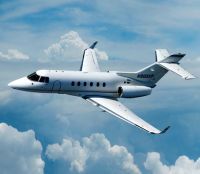 The first aircraft is now being assembled in Mirabel, Quebec, with the maiden flight still set by the year-end, despite concerns that the timetable could slip. Customer deliveries are planned for 12 months later. The passing of Fred Newman CBE after a short illness aged 96 marks in many ways the final chapter of the era of British independent airlines who introduced cheap flying for the masses. Close on 100 years after its Australian original founder met his end at Hendon Airfield the chances of Hawker Beechcraft staying in business remain slim. Harry Hawker, Chief Test Pilot for the Sopwith Company, was killed 12 June 1921. The Hawker (de Havilland 125) 900XP is arguably the world’s most successful business jet and remains in production until the present. 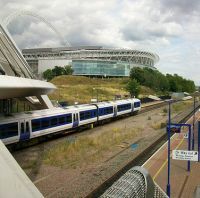 First Western, or whoever operates the Paddington to Oxford rail service in 2015, is to have competition on the route following government approval for an alternative service that uses the existing Chiltern Railways Marylebone to Birmingham line and branches off at Bicester.